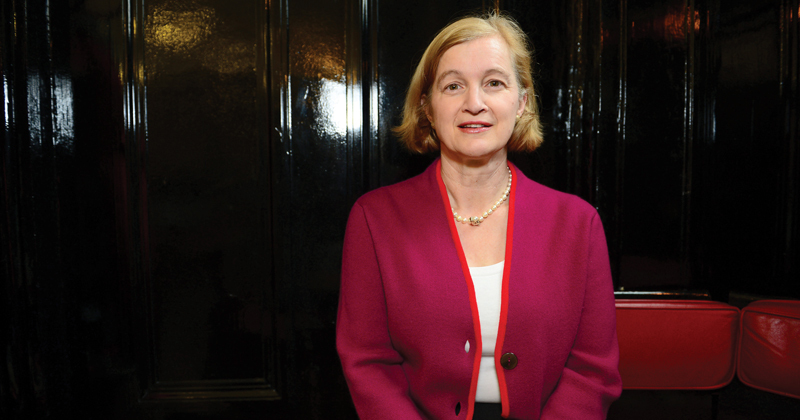 It’s now official – Amanda Spielman will be the next Ofsted chief inspector. Doubts had been raised over whether the new education secretary Justine Greening would continue with her predecessor Nicky Morgan’s choice for the top job at the inspectorate. But the Department for Education just confirmed to FE Week that she has been approved by the Privy Council – meaning she has been “formally appointed” as chief inspector – although she won’t start in the post until after Sir Michael Wilshaw is due to step down in December. Ms Spielman, who was chair of Ofqual, was first announced as the government’s preferred candidate to succeed Sir Michael Wilshaw last month. But following a pre-appointment hearing on June 29, the House of Commons Education Committee report raised “significant concerns”, criticising Ms Spielman’s lack of “passion for the role” and the fact she has not worked as a teacher before, spending much of her career in corporate finance. Ms Morgan subsequently announced her intentions to push ahead with the appointment in a letter to the committee’s chair Neil Carmichael. She reiterated that Ms Spielman was the best candidate, adding she was “surprised and disappointed” by the committee’s report. A DfE spokesperson said a full statement on Ms Spielman’s appointment would be issued “in due course”.